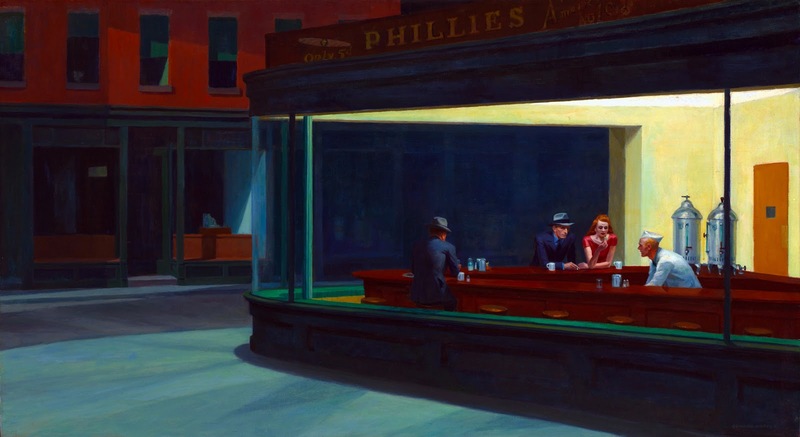 EDWARD HOPPER'S 1942 painting NIGHTHAWKS is perhaps my favourite painting. Heading for a pizza recently I spotted this couple having a smoke outside the Dáil Bar on Middle Street in Galway. 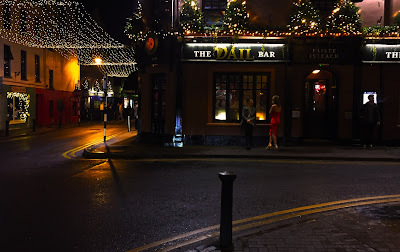 The scene reminded me so much of Hopper's painting: the corner location, the Dáil Bar instead of Phillies, the couple with a girl in a red dress, the conversation, the deserted space apart from one bystander, looking elsewhere, caught up in his own thoughts. A sepia photoshopped "mood" version of Galway Nighthawks.